No escape yet. Time to mull things over before the inevitable departure from Diraden. "That's his plan? 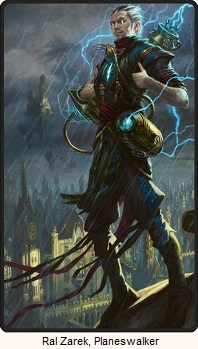 To become a planeswalker?" Gideon’s voice was weary. Prince Valrev had Gideon taken down from his public display days ago, and now pursues a plan to come up with a blood ritual that will transfer Gideon's essence into himself. Manic laughter comes from the cell next to Gideon, from the man who is supposedly is Prince Valrev's father. Gideon explains that the king has occasional moments of lucidity and has explained that all of the prince's power comes from the king. That's why he's kept alive. The transfer of power will never be complete unless he gives his consent, which is something he will never do. The prince knows that as well and so he keeps his father alive with blood magic. Chandra addresses the king directly. "If it's your power, why can't you use it against him?" asked Chandra. "He has cursed me. Imagine that! Cursed me with the help of demons. He thinks he paid with the blood of his family. He thinks he will live forever, but there is more to come, and they will have their payment." 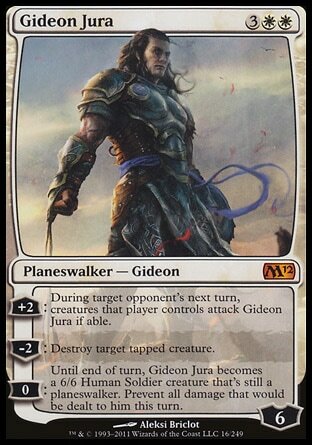 Chandra tells Gideon that while the prince says that she and him will travel the multiverse together, Gideon is slated for death. She asks him why he bothered to try saving her. If he hadn't he could be outside these walls trying to come up with a better plan. When he says that he panicked when he saw her in danger she smiles. Chandra tells him that he's been holding up his end of their bargain, and she doesn't intend on backing away from it now. They'll get out of here together. Gideon then asks her why she tried stealing the scroll. Twice. She tells him that it's a precious scroll. He tells her that he looked at it, and that while he couldn't read the script he knows where it's from... but that still doesn't answer his question. So she tells him she wanted it for the glory, an answer that sets the king off into another of his ramblings. When the king calms down, Gideon goes more into its origins. "It's from Zendikar," he said. 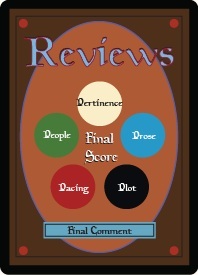 "A plane of some repute. It is said to be host to some of the most powerful mana sources in the Multiverse, but it is also unpredictable, irratic. Violent and pacific in the same moment." "Never, but in my youth I searched." 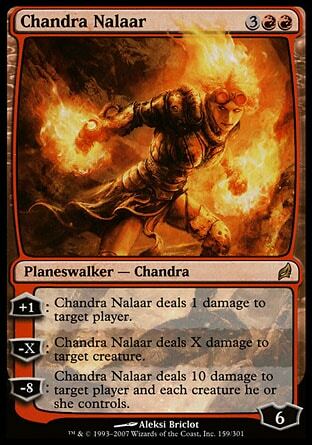 This news gets Chandra quite excited. If they can find whatever it is that the monks were talking about, who knows what they can do. How much power they would have. It would be a grand adventure. When Gideon tells her that she doesn't even know what it is, she only takes that as a positive. "You said it, Gideon. It could be anything. And we’ll never know until we find it." 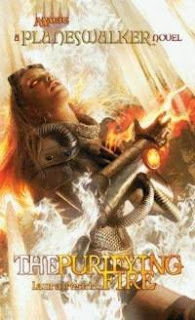 Gideon pauses, and then looks into Chandra's eyes with a sparkle she's never seen before. But he says that the first thing they need to do is escape. That's when the king interrupts one more time and says he might have an idea. So Chandra says "we" when it comes to going to Zendikar and recovering whatever it is that's there, and all of a sudden Gideon is in love? Did Gideon seriously fall in love with her this fast? I suppose we are in Chapter 14 out of twenty chapter, so if it was going to happen in a book timing sense, this is where it would be, but still... when it comes to the actual story it just feels strange. Not much has actually happened.